Video is the future of online media. Educate your visitors or showcase your best work using simple, responsive SlideDeck video slider. Adding videos to your slider is easy with SlideDeck5. 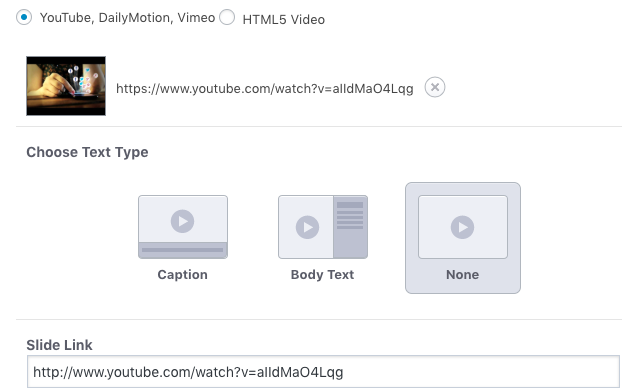 Add videos from your WordPress website or from popular video sites like Youtube, Vimeo & DailyMotion. 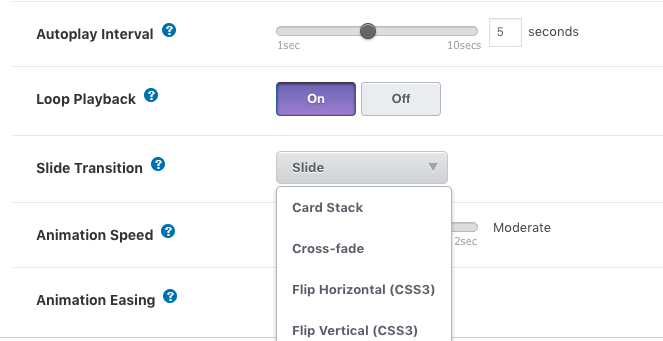 With SlideDeck5 you can showcase your videos in a variety of ways, including a carousel. Video carousel slider are great for showing video testimonials from your customers. You can also showcase your videos using horizontal and vertical slider. Horizontal or vertical slider are great for showcasing related videos or tutorials similar to Youtube playlists. 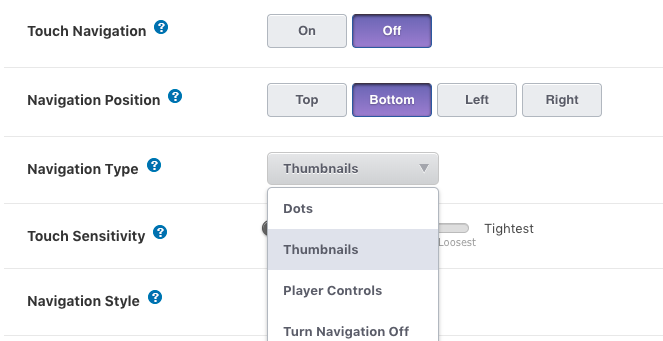 Along with carousels and horizontal/vertical slider, you can also showcase your videos using thumbnail slider. Thumbnails are great if you want to allow your viewers to jump between videos in your slider.